Bodyguard was a fantastic TV show, wasn’t it? Tense, thrilling, and it’s great to see Richard Madden in a big show after his role in Game of Thrones. Throughout the series, however, there was one element to it which consistently bugged me, and it’s that it had way too much respect for the British political system. The story centres largely around the Home Secretary, who is portrayed as an intelligent and capable politician. She’s also ruthless and possesses some dubious ethics, to the point where her rivals consider her dangerous. But the show consistently emphasises the fact that she is dangerous because she is good at her job. And I just found this impossible to take seriously. Take the role of Foreign Secretary, for example. Until a few months ago, ours was a straw-wigged buffoon ripped straight from the pages of Punch. And now it’s the guy responsible for harvesting the organs of the NHS. However you swing politically (I reckon I can guess how you swing politically, Rick - ed. ), it’s fair to say these real politicians aren’t fit to lick the boots of Bodyguard’s political cabinet. Despite being a gritty, hard-boiled drama, Bodyguard to me felt just as fantastical as Game of Thrones, because it refused to acknowledge that in the last couple of years British politics has changed beyond recognition. Its cabinet politicians were cunning and devious and smart, rather than the laughing stock of the entire world. It posed Islamic terrorism as the biggest threat to national security, rather than Russian hackers and novichok-carrying spies. It was a drama in denial, and therefore no more believable than Westeros. 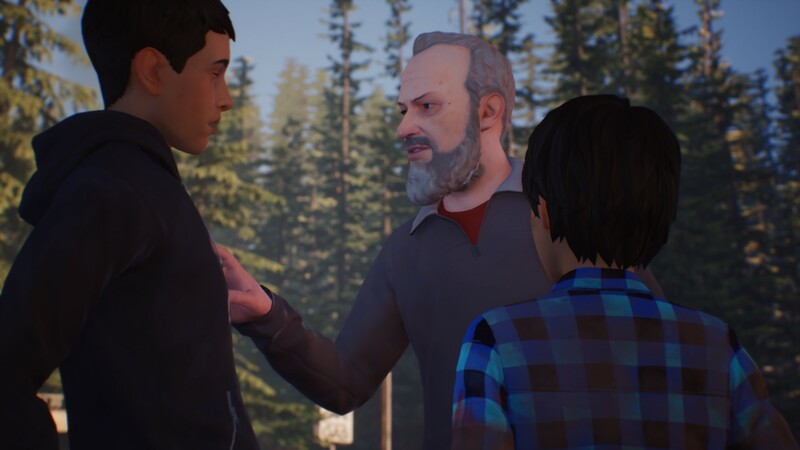 Enter Life Is Strange 2, which unlike Bodyguard fully acknowledges that our world has changed, and it turns out to be the most striking thing about it. 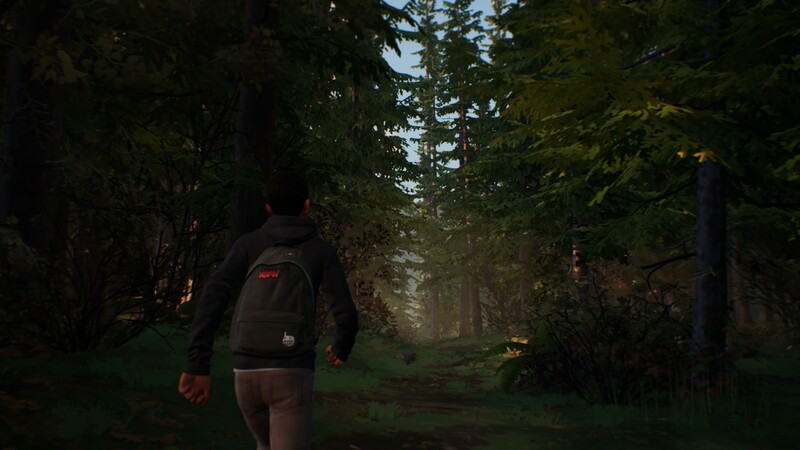 I expected Life Is Strange 2 to be simultaneously wistful and melancholy. I expected to have to make some hard choices in its story. I expected it to involve weird science-fiction at some point. But I did not expect it to be so goddamn current. As is fitting for a change in direction, Life is Strange 2 presents us with an entirely new story. 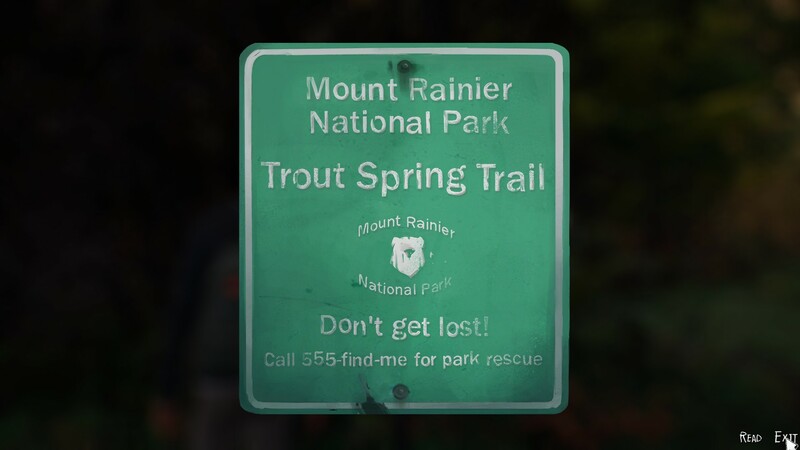 The tale of Max Caulfield and the events of Arcadia Bay receive only a passing reference. Instead, we take control of Sean Diaz, an American teenager of Mexican descent, who embarks upon a cross-country road-trip with his ten-year-old brother, Daniel. I’m not going to discuss why they’re on this trip, because to do so would involve divulging significant story events. For now, it’s enough to say that the trip wasn’t planned and both boys are ill-equipped for it, with little more than a day’s food contained in Sean’s school bag. It’s a very different premise from that of Life Is Strange 1, and it comes with some slightly altered mechanics. As before, the game is primarily narrative-focussed. You interact with the world primarily through dialogue which offers a sequence of minor and major choices to make. This time around, these decisions don’t just impact upon you, they also ripple out to your brother, who will also make his own choices based upon how you behave. It’s hard to summarise this, so I’ll provide an example. In the middle of the game, your long walk out of Seattle brings you to a gas station, where Sean and Daniel stop off to pick up some food. Sean has about 30 dollars in his wallet. You can use this money to buy supplies, but you can also try to save your cash by stealing. Moreover, you can involve Daniel in the theft by asking him to distract the woman at the counter. You might get away with the theft, you might not. But if you steal a lot of stuff with Daniel’s help, then Daniel will come to believe that stealing is okay given your circumstances, and this might lead him to steal stuff on his own further down the line. It’s an intriguing idea, although I think it’s a little too subtle for its own good. I didn’t realise the game was actually doing this until after the credits had rolled, when it lists both the choices you made and the choices your brother made. Apparently I made a lot of choices that meant Daniel didn’t do something, however, so that might have been why I didn’t notice the mechanic working. What I certainly did notice was the new direction DontNod has taken with this second series. It’s a risky first episode in many ways, detonating its most significant plot-bombs in the prologue, with the rest of the tale being comparatively much gentler. Unlike the first game, it isn’t wrapped around a big core mystery either, aside from some Weird Stuff going on with your brother that I won’t disclose. 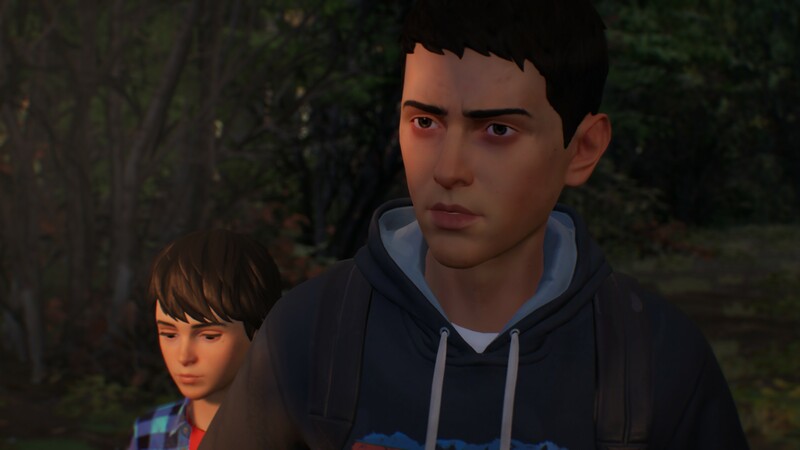 This is much more a story about one specific relationship, bearing more resemblance to Season One of The Walking Dead than it does the first series of Life Is Strange. Despite the smaller mystery and the much more focussed narrative, Life Is Strange 2 isn’t any less engaging. Much of this is down to the excellent writing and voice acting. It would have been so easy to make Sean too much of a pouty teen, or Daniel too much of an annoying little brother. 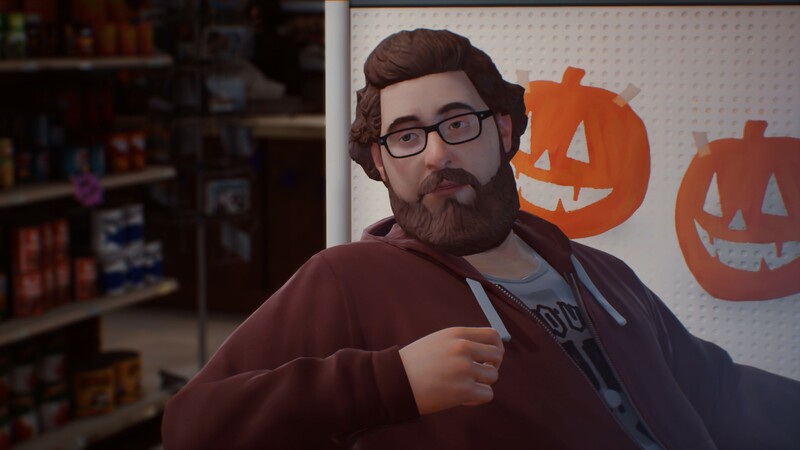 Instead, DontNod builds Sean into a figure you admire and Daniel into someone who you really do care about, to the point where all the annoying little brother things he says and does only act as reminders about just how young and unready for this adventure he is. 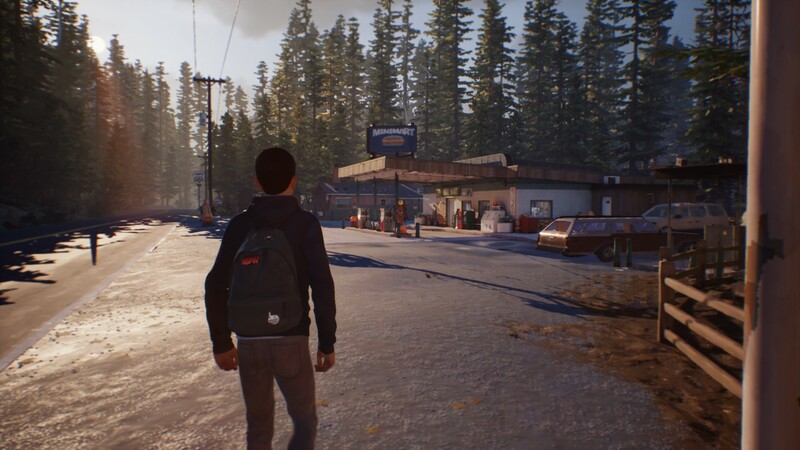 By far the biggest strength of Life Is Strange 2 is how it engages with contemporary issues in American society, particularly that of its endemic racism. As I said, Sean and Daniel are of Mexican descent, and it soon becomes apparent that is a very deliberate decision on the part of DontNod. Returning to the gas station, after you’ve bought your items (or acquired them by alternate means) you’re accosted by the shop’s owner. At first he seems concerned, if a little overbearing, but it isn’t long before he’s accusing you of stealing, despite having no evidence to back it up. From there the confrontation escalates and escalates, and there’s no amount of placating or trying to defuse the situation on Sean’s part will work. It’s a really powerful demonstration of the terrifying irrationality that is the bedrock of racism, and how quickly civility and decency slide away when that illogical sense of inherent superiority is given a platform by society. Granted, it’s slightly more effective if you chose not to steal, but even if you did, the man’s reaction to a 16-year-old boy who is clearly alone in the forest with his younger brother is terrifying. There are other examples of this too, but again I can’t discuss those without spoiling the plot. 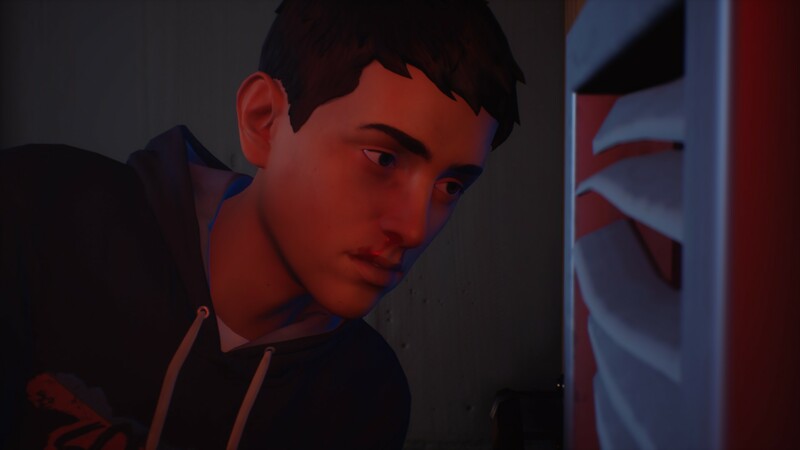 Nonetheless, Life Is Strange 2 presents a much deeper and more thoughtful inquiry into current societal problems than the first series, which was more about high-school (or college) politics. There are times when Life Is Strange 2 attacks this idea a little too directly, such as when that same shopkeeper states, 'People like you are why we need to build that wall.' But for the most part it bakes this dark seam through the narrative really well. You can feel that anger and resentment in some characters just waiting to burst forth, while in others it emerges through a combination of authority and panic. 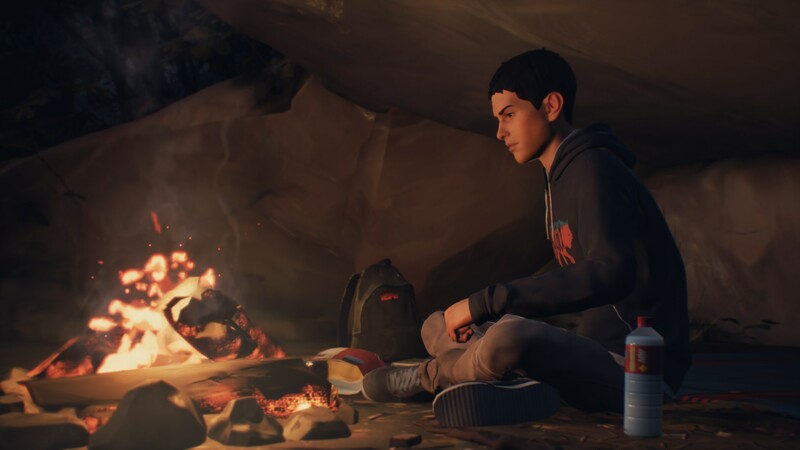 Although Life Is Strange 2 occasionally bangs the drum a little too hard, it also finds time for those moments of peace and contemplation which the first series also did so well. The second act of this first episode is basically a walk through some gorgeously rendered woodland, while the confrontation with the racist shopkeeper is followed by another encounter that’s surprising in a far more pleasant way. Life Is Strange 2 isn’t without its flaws. The game’s references to modern culture can still feel a little forced, although mercifully there’s far less of the weird teen slang that peppered the first game’s script. There are also times when this episode meanders a bit, lacking the same clarity of focus the first one had. That said, it is a road-trip story, so perhaps a little meandering is acceptable in the early stages. Either way, this is a strong starting episode that is looking at American life through a very different lens compared to the first game, and one that I’d easily recommend. I’m a little concerned the tale might become an “And then and then and then” affair if DontNod isn’t careful with the plot, but I’m nonetheless intrigued to find out what happens in the rest of the series. Lays most staff off, cancels most projects.